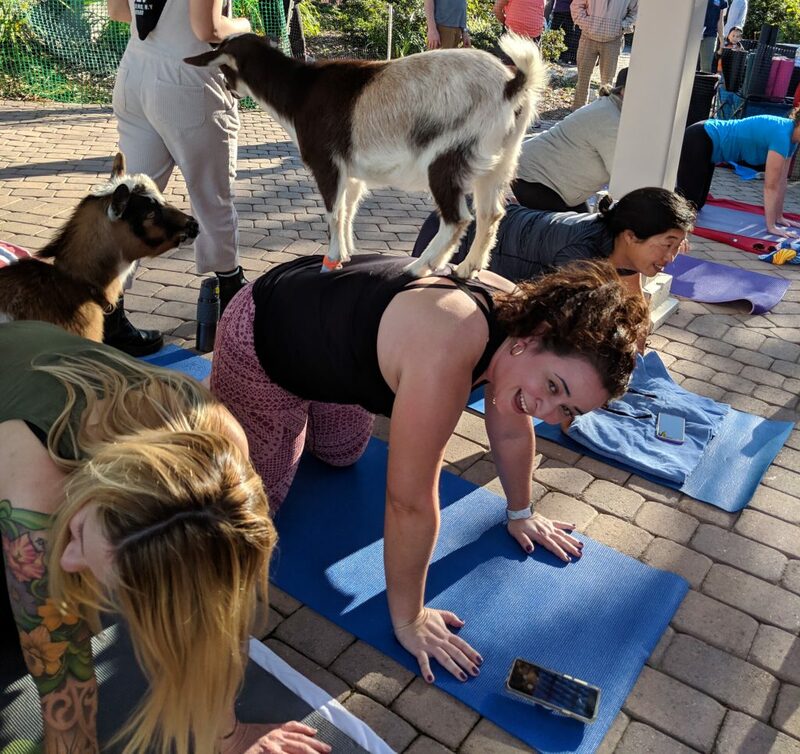 I had the absolute joy of participating in a Goat Yoga session at the South Coast Botanic Garden last weekend. I got A LOT of questions from curious readers. 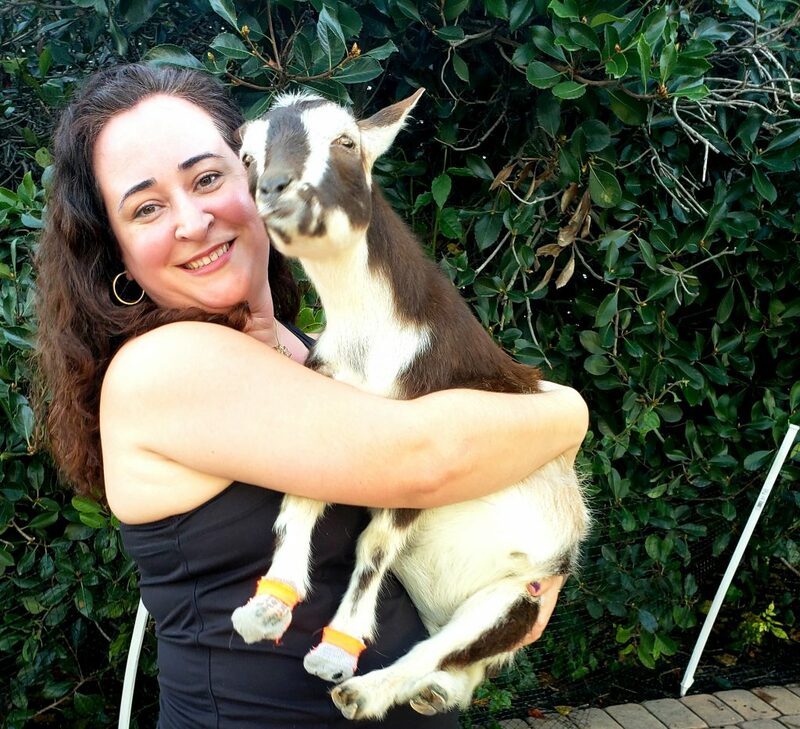 Read on for more about our experience with the Hello Critter goats at the South Coast Botanic Garden! The South Coast Botanic Garden provided a complimentary ticket to this event. However, all opinions are my own. See site policies for more information. This post contains Amazon Affiliate links. This website will earn a commission on qualifying purchases. You’re going to do what?! Needless to say, I got a BUNCH of questions. I decided to make this post a question answer style because many of the questions seemed to overlap. Would you recommend I do Goat Yoga? Absolutely, a thousand times, YES!!! I love animals and exercise. So, combining the two are pretty much a no-brainer for me. 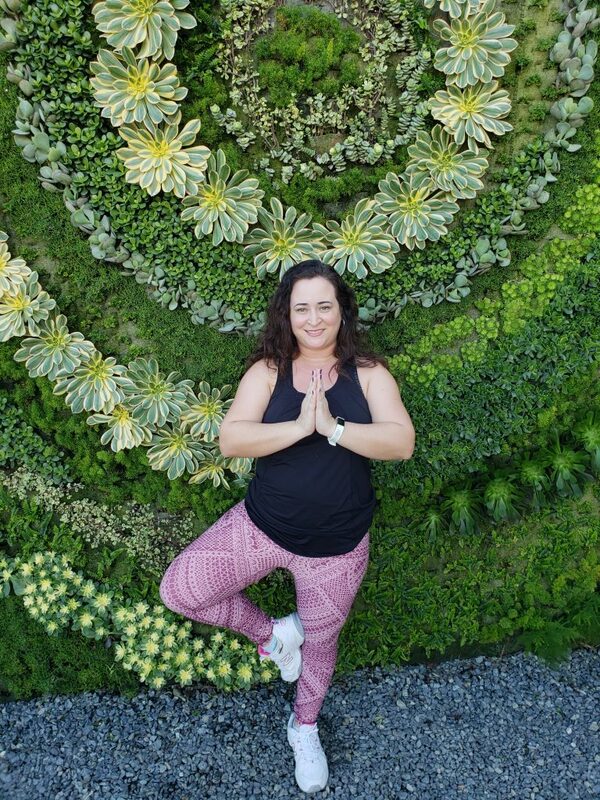 Also, the South Coast Botanic Garden provides a stunning backdrop for your yoga practice. I have been meaning to add more yoga to my exercise schedule. I find it difficult to do yoga because it requires me to stay still and focus…rather than move around and think about million things at once. 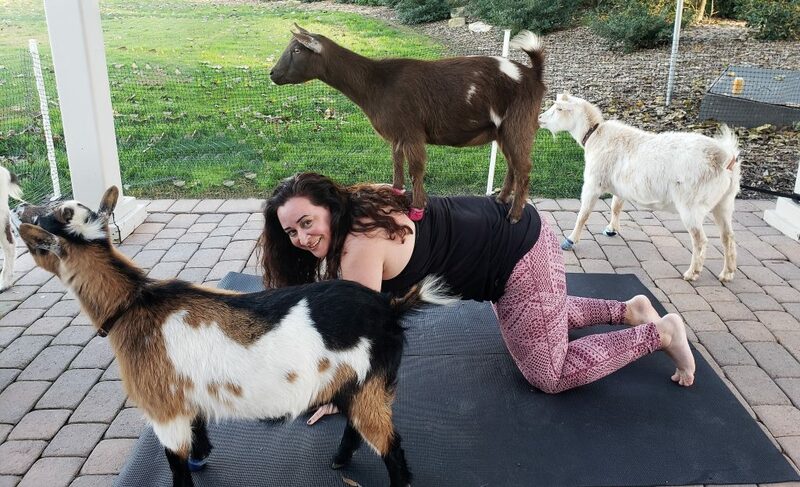 Goat Yoga was an awesome experience for me personally because the goats provided just enough distraction that I didn’t get bored or antsy during yoga. I laughed a lot during this hour of yoga. The laughter alone was great stress relief. 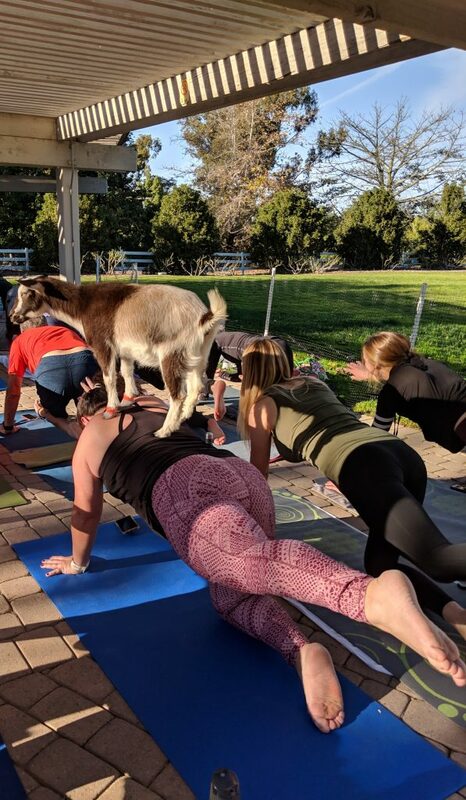 Who Should NOT do Goat Yoga? 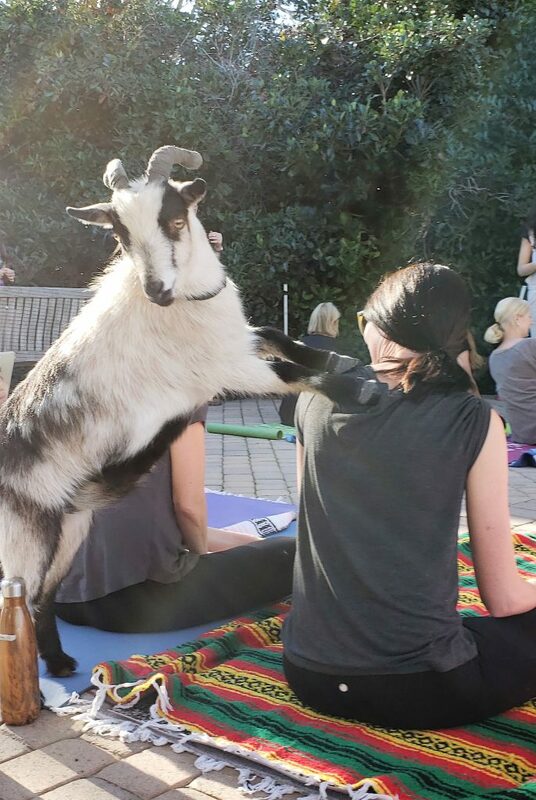 Basically, the only people I would not recommend Goat Yoga to are those that have a general fear of animals. The goats from Hello Critter were very sweet, but I know some people that just couldn’t handle being around any kind of animal…goat or otherwise. This goat jumped on a lady’s back to eat some nearby leaves. When can I do Goat Yoga? 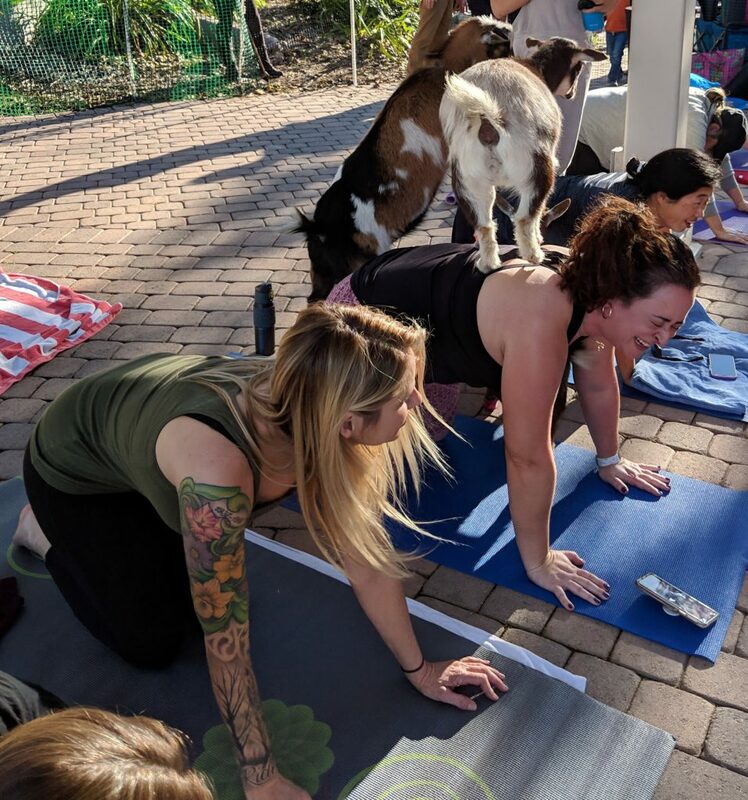 Goat Yoga with the goats from Hello Critter will be taking place again at the South Coast Botanic Garden on February 23, 2019. You can buy tickets now (see our quick facts at the end of this post). Do you bring your own mat? I brought my own mat, however the Hello Critter site mentions that there are a limited number of yoga mats available for rent. I wore one of my standard workout outfits. However, I did have friends that were less enthused about my adventure suggest that I wear something I didn’t care about throwing away. Full disclosure: The goats did not relieve themselves on me, but there were a couple of people that did experience the goats “leaving a present” near or on them. However, I did not see any of them leave the class after the incidents. 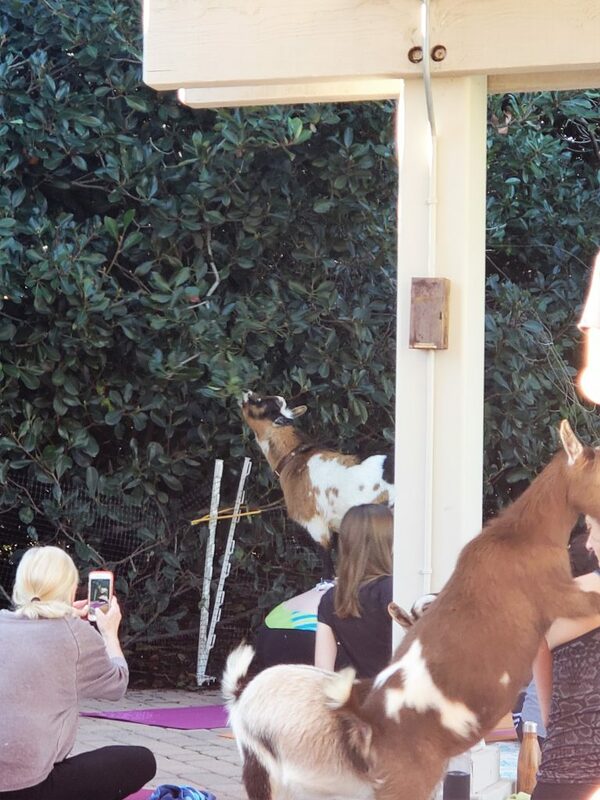 The goats did end up relieving themselves, but mainly towards the end of class. To my relief, there were staff on hand ready to immediately clean up any messes, and to sanitize your mat if needed. Honestly, I thought it would. To my surprise, it didn’t smell like a barnyard. That’s saying a lot! My husband often jokes about my ability to smell things from a mile away. Will they eat my stuff? Basically, we were warned that we should leave our belongings on the other side of the enclosure. A goat’s gonna’ goat! Where do the goats come from? The goats from Hello Critter are rescues. One of them is even a rescue from the recent wildfires. I thought that was pretty amazing! These guys seemed pretty happy if you ask me. If one approached somebody to get a picture, another would seemingly get jealous and try to get in the picture too. Will it hurt if they jump on me? It felt like a massage on my back. At least, it felt like a massage when it was the smaller goats. The goats’ weights vary, the heaviest being 40-45 pounds…which felt like 40-45 pounds, LOL. As soon as the heavy goat jumped on me, I asked if it was the heaviest one…because it felt like it. They confirmed it and quickly motioned the goat to jump off. The goats have socks on their front hoofs to prevent them from scraping you. The Hello Critter information paper states you can just sit down when you see a goat approaching if you don’t want them to jump on you. Do I have to do yoga the entire time? The instructor states at the beginning of class that you should listen to your body. It’s ok if you need to take a break or simply want to sit back the entire class and hang out with the goats. Is the yoga area open to the public? 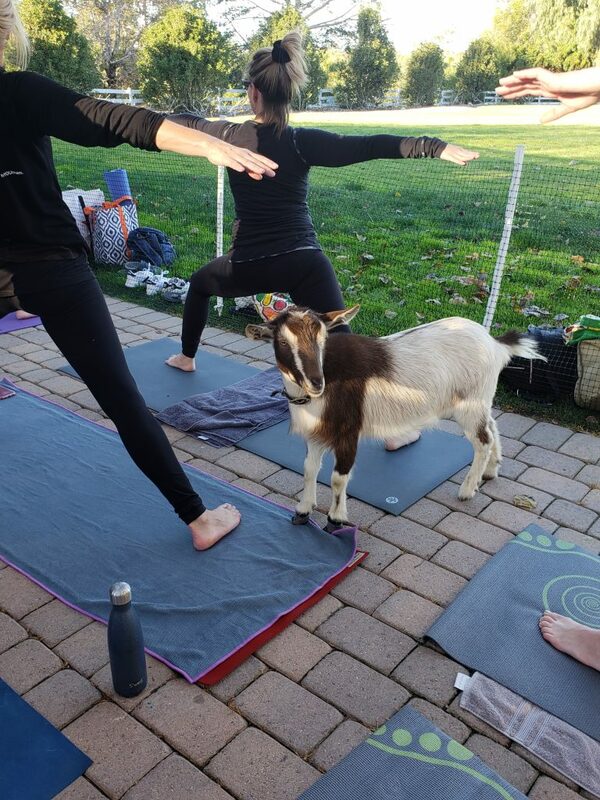 The Goat Yoga takes place in an enclosed area. However, if patrons happen to be passing by the area, it is open air. I didn’t see anyone walk up during our yoga practice, but at times they did look on from afar…wouldn’t you?! I found the yoga practice to be more of a relaxing stretch. I felt very relaxed when I was done…of course laughing for the entire hour probably had something to do with that too 😉 I did find that having a goat on my back definitely challenged me more to keep a strong core and good form. 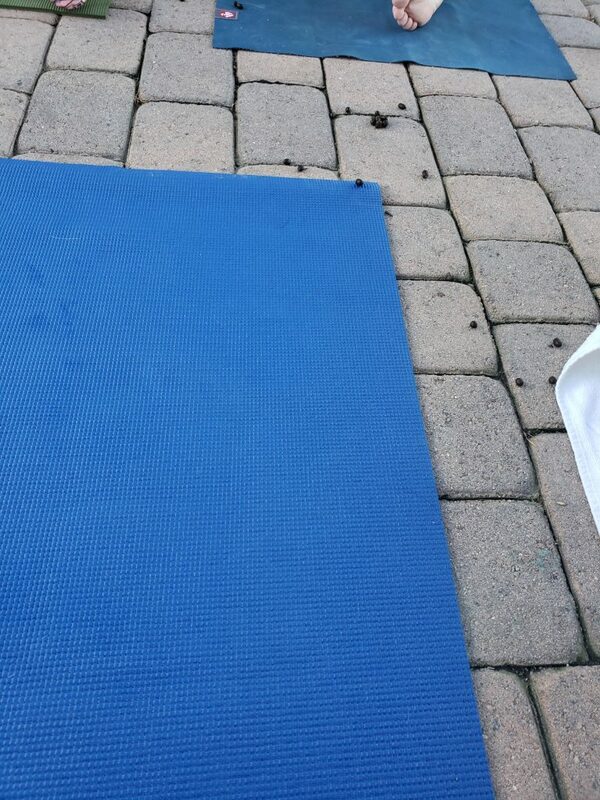 The yoga class took place under a patio cover, not on the grass. I personally preferred this because I was not in the blazing sun. Also, I didn’t have to aggravate my allergies by hanging out in grass the entire time. Parking: There is ample, free parking. Where to buy tix: You can find them at the South Coast Botanic Garden website HERE. Pictures: You are welcome to take pictures during class. There is also an opportunity to take pictures after class. Hello Critter: You can find more information about Hello Critter and the goats under their care HERE. 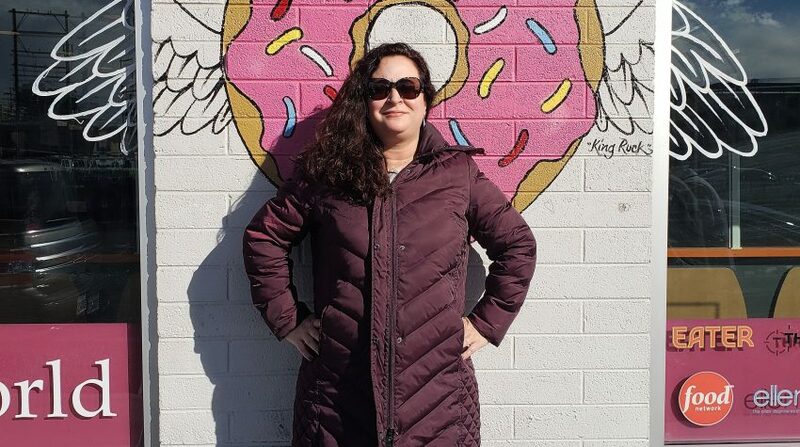 IF YOU’RE LOOKING FOR FUN THINGS TO DO, CHECK OUT THESE POSTS! Love this! 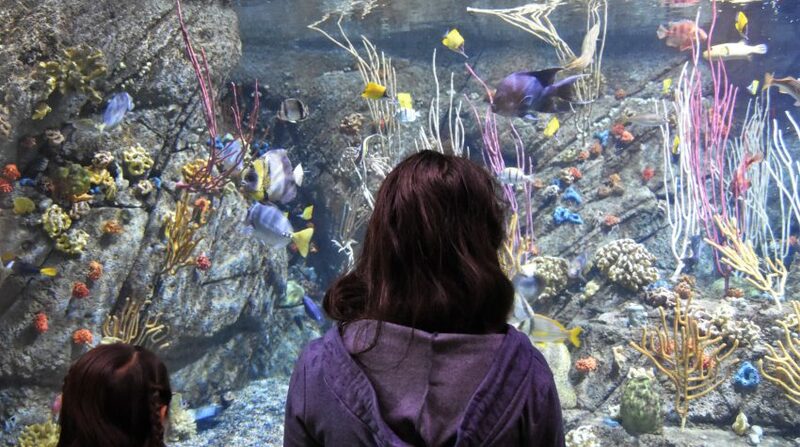 I want to go to the next one! You totally should! It was so much fun 🙂 Thanks for reading!